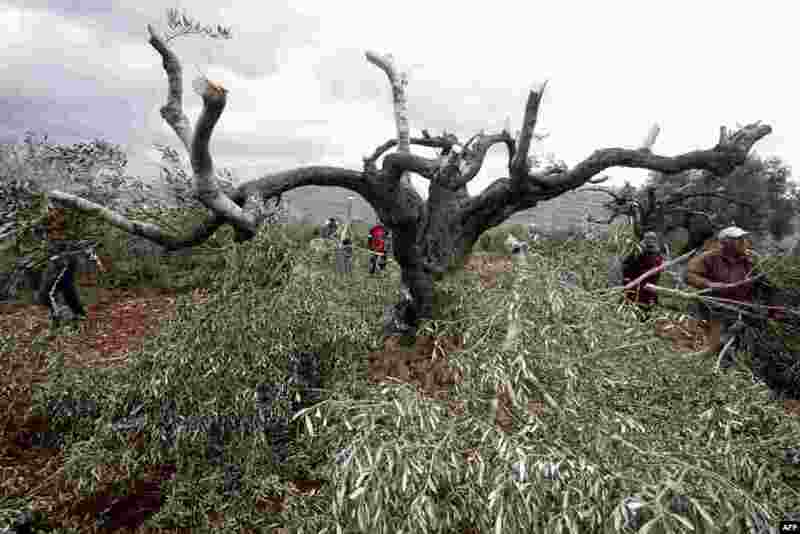 1 Palestinian farmers look at the destroyed olive trees in the northern West Bank village of Qarut. Around 80 olive trees were cut down overnight in Qarut in an act of vandalism blamed on Jewish settlers, Palestinian officials said. 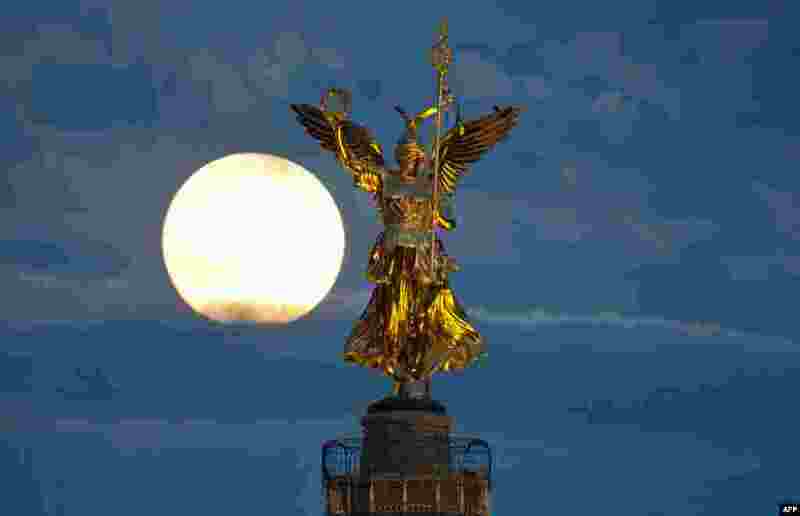 2 The Earth (unseen) casts a faint shadow over the southwestern part of a full moon during the penumbral lunar eclipse in Cairo, Egypt. 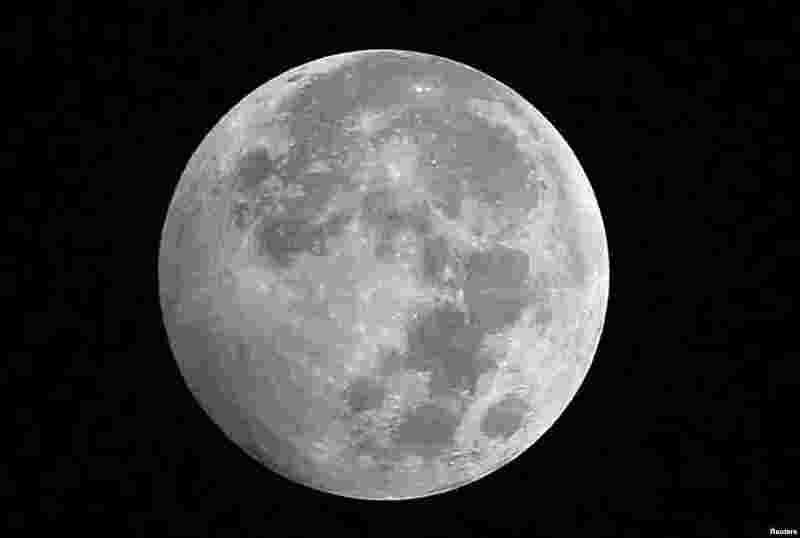 A penumbral lunar eclipse occurs when the moon crosses the Earth's shadow, causing a slight dimming on the moon. 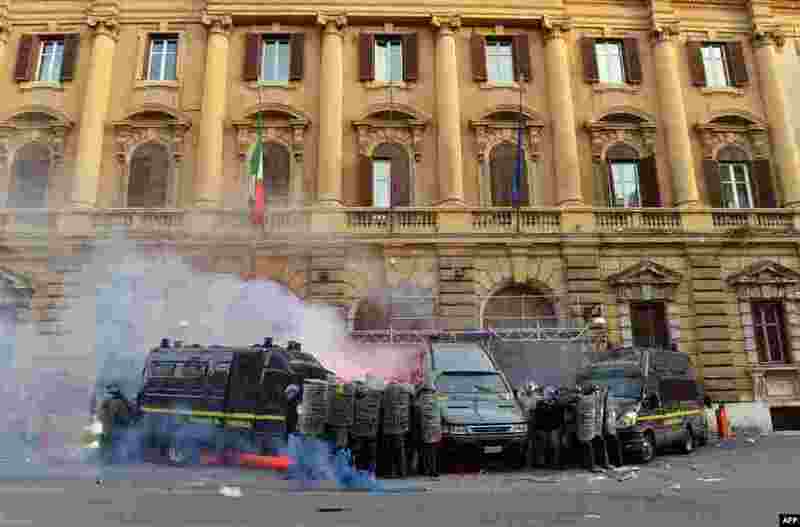 4 Members of the Guardia di Finanza protect themselves as they stand in front of the Economy ministry during clashes on the sidelines of an anti-austerity protest in Rome, Italy.